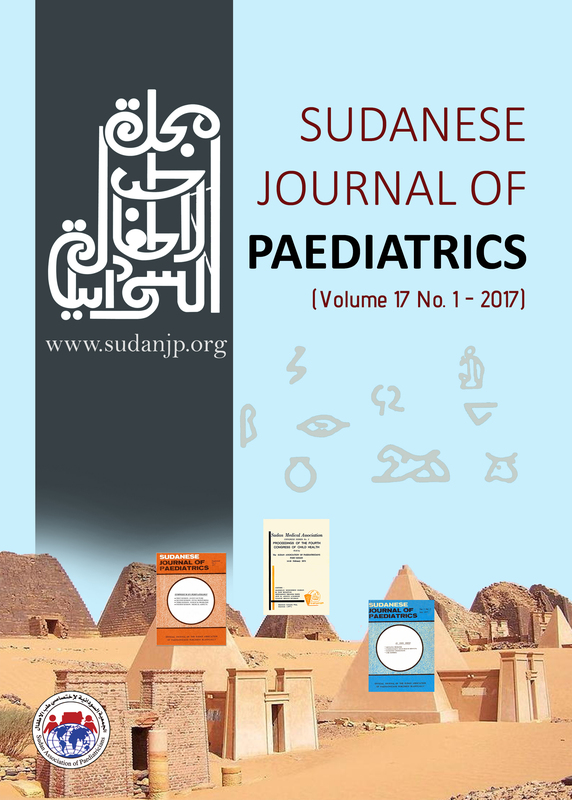 The Sudanese Journal of Paediatrics (SJP) will complete its fourth decade this year and step into the fifth decade in 2018. The Cover of the current issue of SJP highlights the covers of three founder publications depicted amongst the pyramids of the Kushite rulers of Meroe, the Southern Capital of the Napta/Meroitic Kingdom (800BC-350AD) [http://en.wikipedia.org/wiki/Meroe]. It also includes the Meroiti script, the indigenous alphabet consisting of 23 letters, which has been developed in the Naptan Period at about 700-300BC and was used to write the Meroitic language. The Arabic script of the “Sudanese Journal of Paediatrics” was added to the Cover of SJP in 1984 to reflect the main language and culture following the migratory waves from the Arabian Peninsula to Sudan in the 12th century. The script was designed at the College of Fine and Applied Arts, Sudan University of Science and Technology (SUST), by Taha El Atta, PhD. To learn more see Editorial.